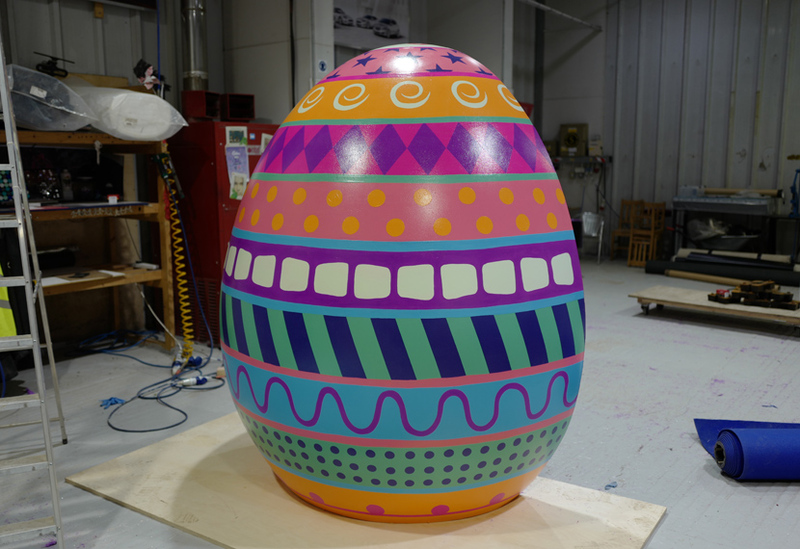 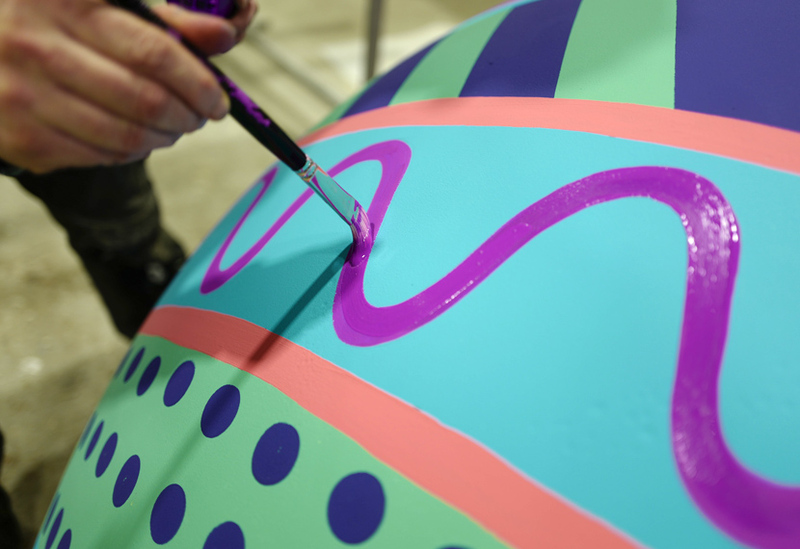 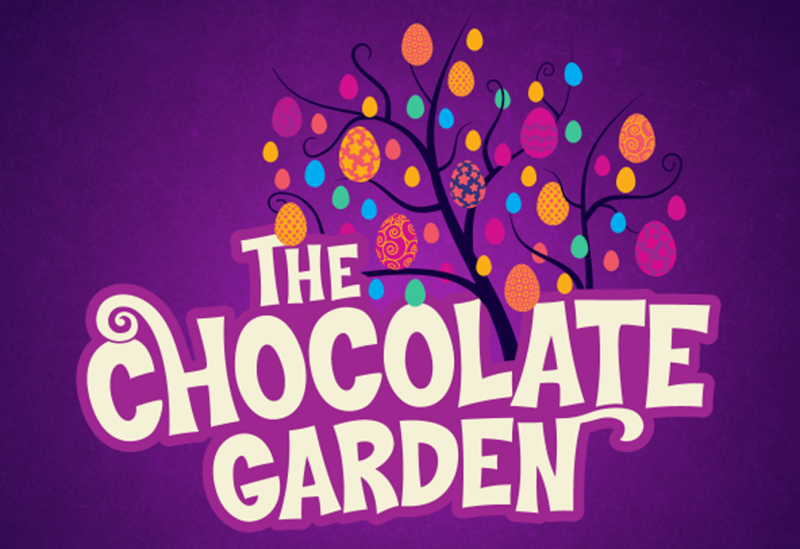 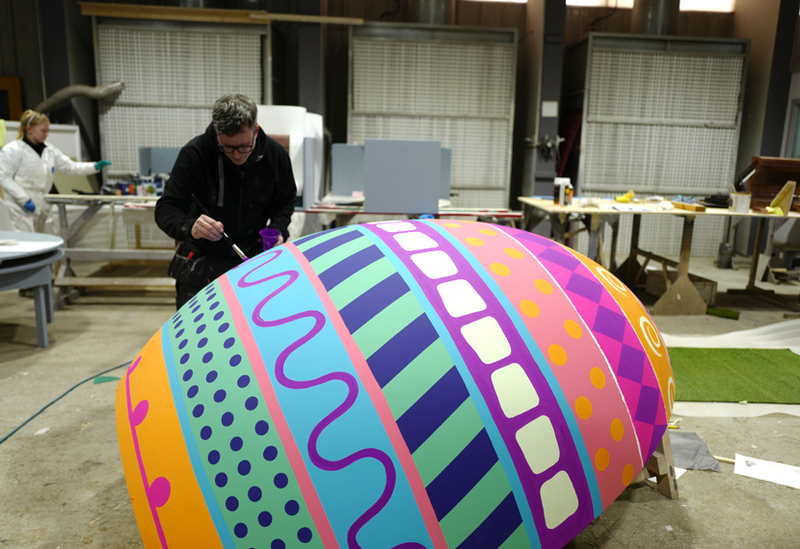 We created this giant, brightly coloured egg for ‘The Chocolate Garden’, an Easter activation at Trinity Leeds. 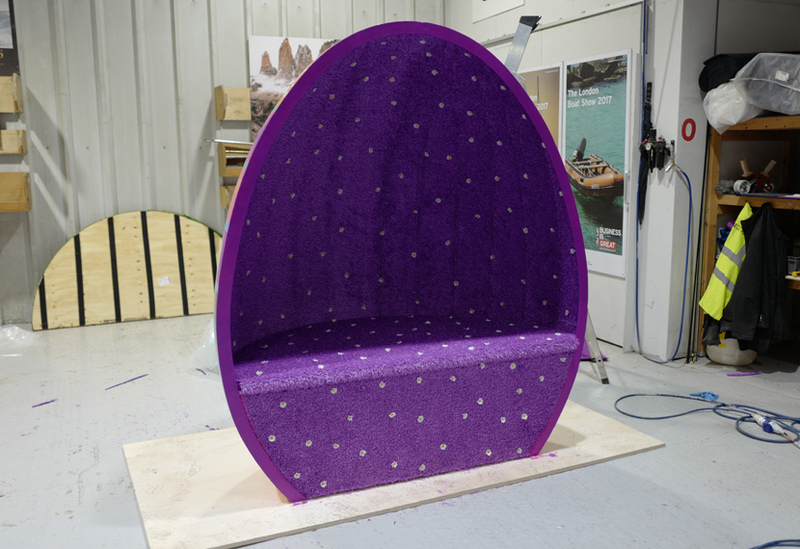 Manufactured from GRP, the 1.8m high half-shell was then hand painted by one of our talented scenic artists. The egg was installed in the Chocolate Garden, resting on a 2m wide artificial grass disc. 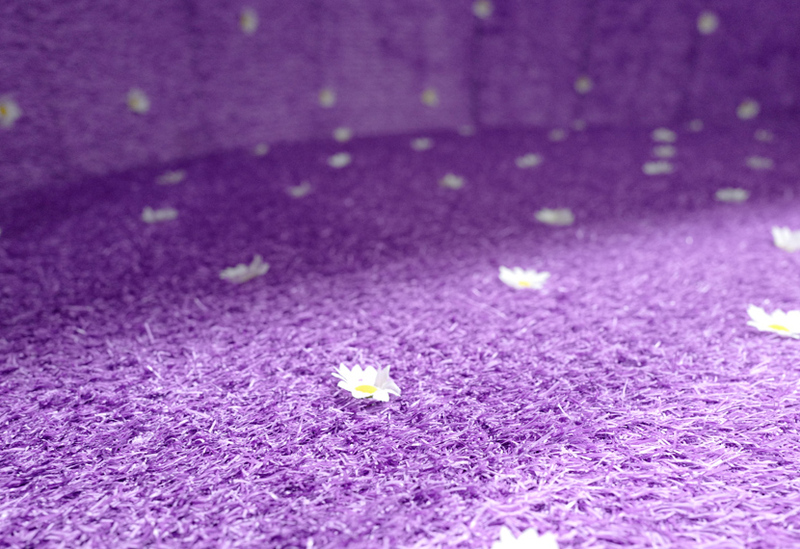 Inside, the surface of the egg and the integral bench were lined with artificial turf in a vibrant purple and interspersed with artificial daisy flowers, creating a bright and attractive photo opportunity for the shopping centre activation. 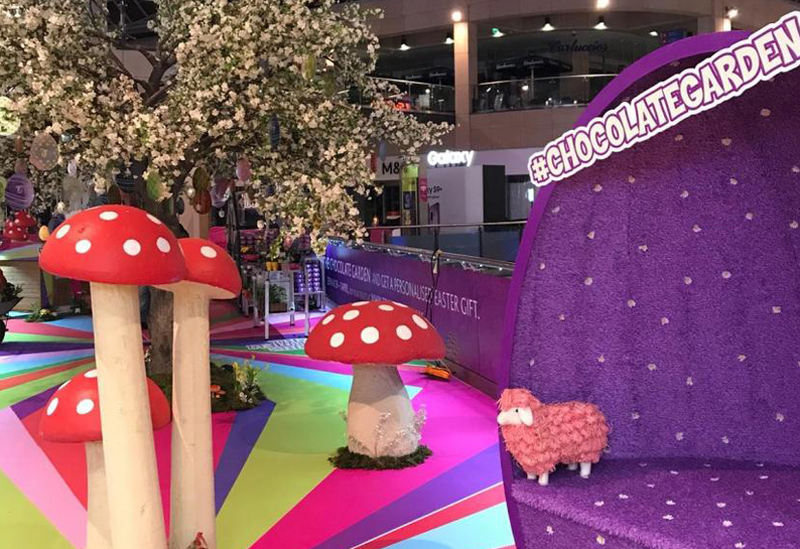 This was our second time working with local Leeds-based agency, Chilled Events. 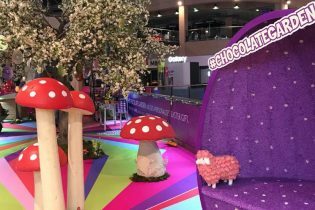 Follow the link below to take a look at the Alice in Wonderland themed Mystery Box we created for them late last year.